Before the influx of cartridge based systems, there was a great selection of non cartridge based systems. Magnavox , Atari , Coleco all made systems and some hand helds . With todays's collectors, these are a must to all collectors !! We will have some of these systems on sale from time - to - time. Make sure to check out our non-cart systems and check back from time to time !! A rarer version of Atari's Stunt Cycle !! 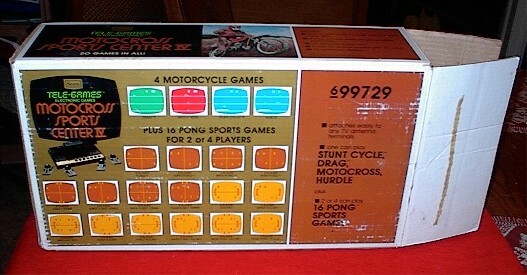 Atari relabeled Stunt Cycle for Sears & Robuck license. This system is one of the most sought after non-cart units out there ! Original Mint Shape Box ! And 16 Pong Games like Hockey , Pong , Street Tennis & more !!!!!!!! 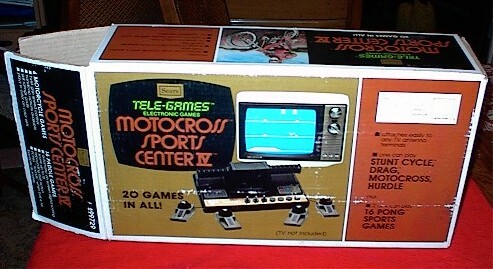 A great piece of video game history !